If you love writing, you will love this book! 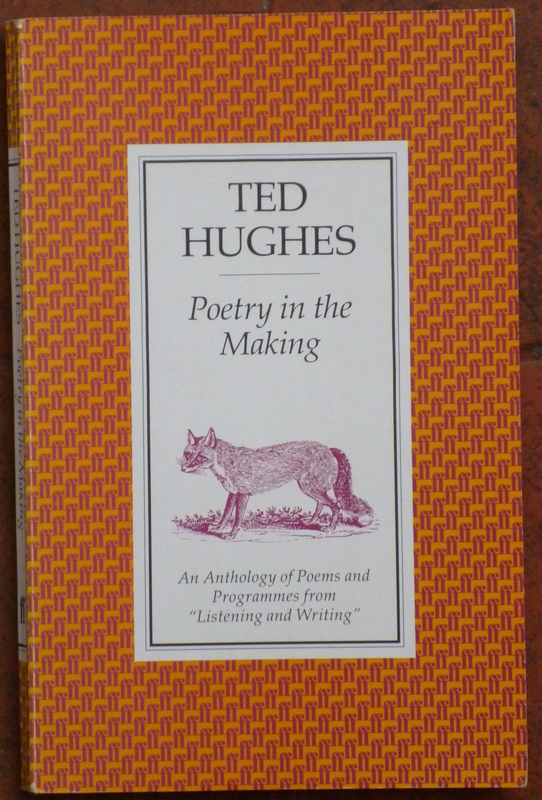 I’ve read stacks of books about writing because it’s always been my passion, but my all-time favourite wasn’t actually written as a book – it’s a collection of radio talks for young people, given by the wonderful poet, Ted Hughes. Although it’s called ‘Poetry in the Making’ it isn’t just about poetry – it’s about the whole writing process, and it’s full of great advice and insights. People often ask authors where their ideas come from, and Hughes explains that there’s this continuous flow of stories going on in all of us, all the time, like fish in a stream. We don’t have to go searching outside ourselves – we just have to learn how to fish. As a dreamer, I know this is true. The stories of dreams are happening every single night of our lives; they’re abundant and spontaneous, although we may not even be aware of them unless we learn how to capture them through dream-recalling. Hughes talks about how to find our stories, and also about why some pieces we want to write just don’t seem to come together. He says no-one can write about something they don’t care about – that’s the key and if you get stuck, it’s probably because you don’t care enough. You can feel the passion in this book, and know that writing is something Ted Hughes really cares about. I love the way it’s written. If you love writing, I think you will love it too. What subjects might you feel passionate enough to write about? Tags: books, ideas, imagination, inspiration, writing. Bookmark the permalink. Previous post ← It’s THIS kind of a day…! Thank you for the recommendation Jenny. I will look out for it. I have just started on a story idea that has a very tricky theme but I really care about it so have to get at least a few chapters written. Hi Lynda – if it’s tricky you really do have to care in order to even get started, and I hope writing a few chapters will strengthen your attachment to the tricky theme even more – such a buzz when that happens. A really comprehensive review, I think you have really captured the meaning of this book. You should check out the new social network Cayova, they are offering $10,000 sponsorship opportunities to creative bloggers like yourself. You should check it out.